The Forestry Commission says it is reviewing and strengthening its permit regime to effectively regulate the exploitation of Rosewood harvesting in line with the agreement of the Convention on International Trade in Endangered Species (CITES). Deputy Chief Executive of the Forestry Commission, Mr John Allotey, told a press conference on Thursday that future extraction of all Rosewood would be based on the CITES approved yearly volume quota for the country. He said the Commission would also be tasked to ensure domestic processing of Rosewood logs for value addition prior to export to overseas markets. Mr Allottey said the review of the permits regime and the adoption of stringent measures in the industry were necessary to avoid utilisation levels that would negatively impact their survival. He noted that all permits in respect of the harvesting, transport and export of Rosewood expired on the December 31, 2016 under a ‘stop-work’ order issued by the Commission, and that all existing agreements for the removal of trees from the Bui Dam enclave were revoked. He said as a result of that, the Minister placed a ban on the harvesting, transporting and exporting of Rosewood in the country, but reports indicated that the activity still persisted which aggravated the threat of environmental degradation and its effects. He said the four companies, which were given permits under the Bui Dam agreement to remove trees within the enclave and fairways and had not settled their debts with the Bui Authorities would lose any existing stock recorded in their names. Mr Allotey said in line with the earlier directive which was issued on February 10, 2017, a total of 361 containers of Rosewood belonging to different companies had been impounded and currently located at the ports and some wood depots across the country. He said to decongest the port and depots, companies would be granted a one-off CITES permit to enable them dispose off their consignments in view of the fact they have already paid all statutory fees to the Commission. He said all companies would be expected to pay appropriate penalties on consignments for flouting the December 30, 2016 ‘stop-work’ order, explaining that it was only after payment of the penalties that the Commission would grant clearance for CITES certificates to be issued to enable shipment of the exiting seized stocks. Mr Allotey said the affected companies had been given a two-month notice to complete the exercise. A private legal practitioner has sued the Brong-Ahafo Regional Manager of the Forestry Commission over the failure to regularize and regulate compartments that had been developed into teak plantations. The plaintiff-Nana Obiri Boahen, a Deputy General Secretary of the New Patriotic Party (NPP), wants the court to declare that he has not engaged any person or group of persons as joint partners in the afforestation exercise. Joined to the suit as second defendant is the Forest Services Division, head office in Accra. The lawyer, in a statement of claim, said since 2002 he has used his own resources to undertake afforestation on Compartment 305, Kwamekrom, Compartment 316, Bridgeso and Compartment 293, among others. 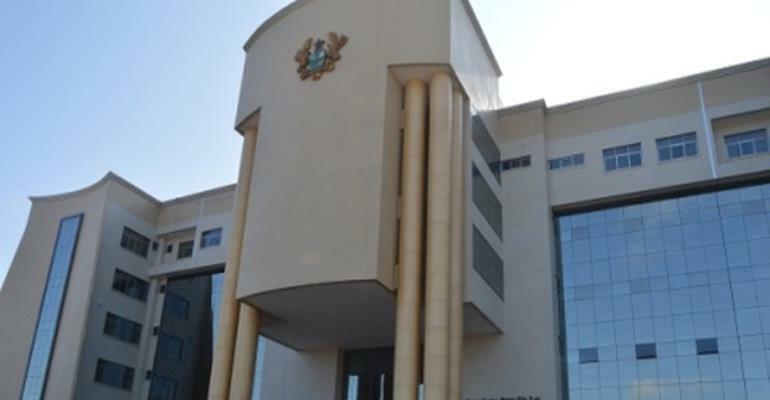 The plaintiff said on April 16, 2003, he appealed to the Executive Director of the Forestry Services Division to undertake afforestation in the Tain I and II Forest Reserves, both at Adoe and Abronye respectively. The NPP scribe indicated that in 2009, he wrote to the Commission and stress the need to undertake proper mapping and final regularization of all the compartments he had personally developed. Mr. Boahen averred that notwithstanding the said letter, the defendants failed to respond to his request. He stated that even though he enjoyed maximum cooperation and support from officials of the division, he had been compelled to initiate the instant action because of the behaviour and unnecessary interference by some officials of the Division. Lawyer Boahen, among others, contended that his patience and tolerance have all thinned out completely and thus the only option now was to seek legal redress in court to protect and defend both his legal and constitutional rights. The plaintiff, however, wants the court to award general damages for inconvenience and an order of perpetual injunction against the defendants. Fumesua, (Ash), Mar 09, GNA – The Forestry Research Institute of Ghana (FORIG) has appealed for increased national support to develop and produce botanical pesticides to aid food production. Dr. Daniel Aniagyei Ofori, the Director, said it had already conducted research into tree species, which could be used to produce non-harmful and highly effective pesticides for farming. He indicated that they were having a difficulty going into large scale production of these because of the lack of funds and logistical support. He was briefing the Minister of Environment, Science Technology and Innovation (MESTI), Professor Kwabena Frimpong Boateng, on research activities of the Institute at Fumesua in the Ejisu-Juaben Municipality. The Minister was in the Ashanti Region to acquaint himself with the operation and the challenges faced by institutions under the Council for Scientific and Industrial Research (CSIR). Dr. Ofori said the high point of bio-pesticides was that these were not harmful and environmentally-friendly to food and cash crop production. He mentioned the neem tree and Jathopha as some of the trees, which had proven to be suitable for bio pesticide production. He spoke of the production of the ‘Prekese Syrup’ by the Institute, which had been certified by the Food and Drug Authority (FDA) and was on the market. ‘Prekese’ is believed to have chemical properties which can be used to manage hypertension and other heart conditions. He said studies were ongoing to identify high-yielding and early maturing ‘prekese’ trees to establish plantations for sustainable supply of the raw material for production. Dr. Ofori hinted of a number of model technologies and innovations to support agroforestry for climate resilience, food security and job creation. Added to these, were technologies for sustainable management of natural resources and biodiversity conservation, alongside allometric equations for above ground and below ground biomass estimation, used in mapping of forest cover and carbon stock. FORIG has also established seed orchards and seed stands, engaged in the production of improved seeds and seedlings for planting, site-species matching and techniques for planting establishments. Again, there was the production of briquette from sawn dust for biofuel energy and an extender for plywood production from cassava. Dr. Ofori pointed out that it had the expertise to develop technologies that would help protect the nation’s natural resources and its biodiversity, promote efficient utilization of forest timber and non-timber products, identify medicinal and food products to improve the lives of the people. Prof Frimpong Boateng commended FORIG for its achievement and said it was time research outcomes by local scientists were fully utilize for the benefit of the nation. Maafi Anfoe (VR), March. 10, GNA – The African Afforestation Association (AAA), a Non-governmental organization in partnership with the German International Cooperation for Development (GIZ) and other stakeholders have planted 1,000 trees at Maafi Anfoe in the Central Tongu District of the Volta Region. The project, estimated at 43,000 Euros is jointly financed by the GIZ and the local communities. The four-acre project being the first of its kind in Africa is utilising a ‘Water Boxx’ technology to grow mahogany, mango, cashew, teak and orange among others and had been pioneered in Mexico, Chile and Jordan with positive results. The ‘Water Boxx’ technology consists of a water-holding box through which the seedlings grow and could water the young plant for a year using five litres of water, making it ideal for planting during the dry season. Togbe Dra-Aboetaka IV, Chief of Maafi-Anfoe who offered the land for the pilot project said it would be extended to 50,000-acre afforestation within the various communities in the District. He said the vision when achieved, would create employment for the youth, protect the environment, check erosion, stop de-afforestation and generate income to improve living conditions of the people. Mr Gunnar Fischer, Director, AAA said Ghana had been earmarked by the German Government for its climate change programme and that the 18-month project would employ 1,500 people and benefit 17 communities. He said Groasis, the Holland-based producers of the ‘water boxx’ system was optimistic of producing them locally to reduce cost and appealed to stakeholders to contribute their quota towards a successful implementation of the project. Mr. Fischer said the afforestation campaign would be extended to the northern parts of the country. Madam Dzifa Attivor, a former Minister of Transport called on all stakeholders to come on board to broaden the scope of the project. The Brong Ahafo Regional Minister, Lawyer Kwaku Asomah-Cheremeh has charged the media, both print and electronic to be vociferous against indiscriminately tree felling in the region. Lawyer Asomah-Cheremeh said the indiscriminately tree felling in the region has affected some people in the region negatively. The Brong Ahafo Regional minister made the call when SPACE FM, a private radio station in Sunyani presented an Award the station won last year from the Media Foundation for West Africa (MFWA). The station was among ten radio stations in the country that won Award in recognition of their contribution to Decent Language and Issues Based Campaigning during Ghana’s 2016 Elections. According to the Lawyer Asomah-Cheremeh, the last Friday rain storm that hit some parts of the region should be a concern to all and sundry in the region. He said his initial investigations into the incident had reviewed that, indiscriminate tree felling was a major contributor to the storm that destroyed 110 houses, school buildings and church buildings in Dormaa Central , Techiman South and in Ahafo , Asunafo Districts and rendered many families houseless. Honorable Lawyer Asomah-Cheremeh said the National Disaster Management Organization (NADMO), the Regional Coordinating Council (RCC) and the affected district assemblies are putting things together, to accommodate the homeless and seek assistance from the Central government for them. He noted that our forests in the region are being destroyed as results of the activities of Chainsaw Operators and others. According to the newly Brong Ahafo regional minister, the activities of the Chainsaw Operators must be discouraged before they turn our forests into deserts. The minister added that proactive steps must be taken to encourage tree planting in the region. Lawyer Asomah-Cheremeh said he will discuss the issue with the Brong Ahafo Forestry Service Commission (FSC), and the Regional Security Council (RESEC) will take up the matter to find a lasting solution to the indiscriminate tree felling in the region. He charged the media to be proactive in the fight against the menace in the region. The Parliamentary Select Committee on Lands and Forestry is pushing for the state to adopt Subah Infosolution’s National Digital Mapping and Addressing System. Chairman of the Committee, Benito Owusu-Bio, believes the technology would solve the many land litigations that individuals and estate agents face. “With the bold initiative that they [Subah] have taken by investing their own money into the project, it is laudable. With what I have seen, I wouldn’t be surprised if the government becomes interested and joins as a partner,” he told the press after a tour of Subah’s offices in Accra. A delegation from the Committee was at the premises last week to familiarize themselves with the addressing system. The system, currently at a pilot stage in Accra, when completed will provide a robust addressing infrastructure to the whole country, using state-of-the-art technology for a property, household, street and address information. The National Digital Mapping and Property Addressing System will also provide address information to landmarks and facilities such as hospitals, places of worship among others. The system has a satellite imagery of all 216 districts across the country. The system is supported by a call centre that can interact with residents at a particular location in real time. The project is an upgrade of the NaWabin Project, which was one of Subah’s nationwide collection of personal data to enable every household to be allocated a waste bin and collection periodically. The waste bins that were distributed by Subah under the NaWabin project was not just ordinary bins but smart bins that made it possible for garbage vehicles to register the content of the bin and its disposal as well. When the bins are full a central system is able to capture that for effective and speedy waste disposal. Speaking after the tour of Subah’s premises, Mr. Owusu-Bio said in a bid to end the challenges facing the land administration in Ghana it would be good for the government to fully support and buy into Subah’s system. He, however, called for collaboration between Subah and sector agencies like the lands commission, local government authorities, MMDAs and the security services as that would increase the robustness of the system and make it more efficient. The Nkawie District Forestry manager of the Forestry Services Division of the Forestry Commission, Nana Poku Bosompem has waged war against encroachers of the Tano Offin Forest Reserve. He says his Outfit is battle ready to protect the Tano-Offin Forest Reserve, which is already under strict protection.The District Forestry Manager told newsmen that his outfit is bent on nibbling the activities of the Illegal chainsaw and mining in the bud by bringing in the military to flush them out. According to him, some of them have been arrested and prosecuted and that the communities along the Tano Offin Forest reserve are being sensitised to be vigilant on the miscreants and report to the forestry office for prompt action. He said the campaign against encroachment of the Forest, one of the most important ecosystems in the sub region, is on-going and that if the Forestry Service is not provoked by their activities, encroachers would also not be provoked. “We want to do something like rebel movement so that we face them squarely”, he assured. Nana Bosompem disclosed that, the chieftaincy issue that came up at Nyinahini has increased the activities of galamsey and chainsaw operations exposing forest guards to danger because of claims of ownership of such lands. Touching on bushfires, he said, dry season also comes with challenges where farmers and lunatics set fire indiscriminately while chainsaw operators also go to the forest with petrol. “My people are there patrolling and hope nothing unfortunate will happen”, he stressed and advised the people to help protect the forest for the nation to benefit. Mr John-Peter Amewu, the Minister of Lands and Natural Resources, said there is a ban on export of Rosewood across the country as part of efforts to bring sanity in the forestry sector. He said the ban also gives a directive to the Forestry Commission to stop the issuance of felling permits which were ways to ensure the reverse of the decline of the forest and wildlife resources by addressing vigorously the drivers of deforestation and forest degradation. “We will embark on tree nurseries establishment, forest plantation development, development of the bamboo and rattan industry, conservation of biodiversity, protection of water bodies and promotion of eco-tourism,” he said. 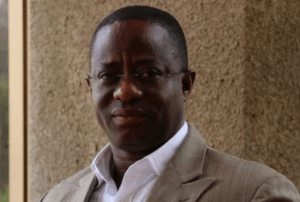 Mr Amewu said this when he toured the agencies under his ministry on Wednesday and assured them of the ministry’s commitment to solving their challenges. The tour was to enable him to familiarise with the agencies, assess their working conditions and share with them the vision of the Government in the next four years. The Minister visited the Forestry Commission and the Ghana Geological Survey Authority where a staff durbar was held to formally introduce him to the staff and management of these institutions. Addressing the staff of the Forestry Commission, Mr Amewu said the high levels of illegal logging chainsaw, mining activities, poor farming practices, annual wildfires, population pressure, the complex nature of Ghana’s land tenure system and weak law enforcement had further worsened the situation. He said the effects of deforestation and forest degradation were beginning to manifest in the extinction of water bodies, loss of important timber species like odum and wawa, loss of wildlife habitat, rise in temperatures and unpredictable rainfall patterns due to climate change. “The forestry sub-sector is one of the key sectors that has a huge potential for driving the economic development of this country, forests are among the world’s most productive land-based ecosystems and are essential to life on earth. “I expect hard-work from every staff of the Commission, punctuality, discipline, corruption-free environment and dedication to service to drive the sector forward,’’ he said. He, therefore, reassured them of his commitment to facilitating the competition of processes for the effective implementation of the Voluntary Partnership Agreement, the passage of the Wildlife Bill, the approval of Timber Procurement Policy and ensuring the availability of funds to undertake the planned activities. Mr Ben Nathan Donkor, the Acting Director of the Forestry Commission, said the Commission remained committed to realising the President’s vision for the Forestry sector which is in line with its vision, leaving future generations and their communities with richer, better and more valuable forestry and wildlife endowments. The Chief Director of the Ministry, Professor Bruce Kofi Baneong-Yakubo, and Mr Benito Owusu-Bio, the Chairman of the Parliamentary Select Committee on Lands and Forestry, accompanied the Minister. An analysis, published in the journal Ecology Letters, suggests that forests are at risk globally from the increased frequency and severity of droughts. The study found a similar response in trees across the world, where death increases consistently with increases in drought severity. The biological and environmental scientists did find specific, varying features in different tree types can alter their resistance to drought. Species with denser wood and smaller, thicker leaves tend to fare better during prolonged, unusually-dry periods. Stirling co-author and Professor of Ecology, Alastair Jump, said: “By pinpointing specific traits in trees that determine how at risk they are from drought, we can better understand global patterns of tree mortality and how the world’s forests are reacting to rising temperatures and reduced rainfall. “As the temperature of the planet continues to climb, mass tree mortality will hit more forests than ever before. Forests store a substantial amount of the world’s carbon and increased tree death will only propel future global warming. Mr John-Peter Amewu, the Minister of Lands and Natural Resources, has announced a ban on export of Rosewood across the country as part of efforts to bring sanity in the forestry sector. He has, therefore, issued a directive to the Forestry Commission to stop the issuance of felling permits which were ways to ensure the reverse of the decline of the forest and wildlife resources by addressing vigorously the drivers of deforestation and forest degradation. The tour was to enable him to familiarise with the agencies, access their working conditions and share with them the vision of the Government in the next four years. He said the effects of deforestation and forest degradation were beginning to manifest in the extinction of water bodies, loss of important timber species like ‘odum’ and ‘wawa’, loss of wildlife habitat, rise in temperatures and unpredictable rainfall patterns due to climate change.